Locked out? Need a new set of keys and locks for a new home in San Diego, CA? Have you lost your car key? We have the experience and proper equipment to provide immediate on-the-spot 24 hour locksmith services. 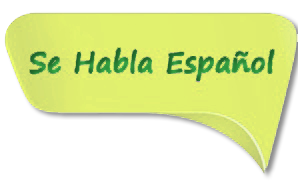 Call (619) 298-7911! Professionals arrive within 30 minutes or less! Our company is a 24 hour emergency locksmith that provides a wide array of lock and key solutions for your home, auto, or office! We understand that getting locked out can happen to anyone and anytime. Similarly, you make unfortunately be the victim of a break in and want to change locks immediately. We are dedicated to your safety! If you are looking for a reliable 24 hour locksmith in San Diego, call us for a free estimate! Call (619) 298-7911! What makes Green Locksmith San Diego different? All locksmiths are fully certified and arrive in a fully stocked locksmith van of quality tools, machinery, and electronic programming to handle any number of emergency locksmith needs. No need to go to a hardware store or car dealership when you can get professional, high quality, and affordable services on the spot! Call (619) 298-7911! Expert locksmiths are available 24 hours a day, every day of the year! If you require home, office or vehicle locksmith services, our company has the experience and resources to meet your needs. Trained locksmith technicians can handle key cutting, transponder key programming, and expert lock picking on the spot! Whether you are looking for an emergency locksmith or simply require key duplication or change locks, We work closely with customers to ensure a high level of satisfaction. You can expect high quality 24 hour locksmith care throughout San Diego. Our company adheres to a high level of professionalism and quality. 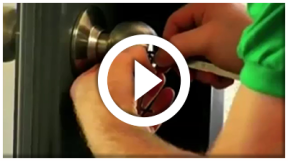 Check out our video that highlights our fully equipped vans, experienced technicians, and full range of locksmith services. All technicians are fully licensed, bonded and insured. They maintain years of experience in the lock smith field, yet continue to attend new training courses and conferences to increase their knowledge. 24 hour locksmith technicians can arrive at your San Diego CA location within 30 minutes of your phone call. Green Locksmith San Diego and associates carry the most advanced and sophisticated locksmith tools and machinery. Technicians use state of the art programming so that they can solve a great number of challenging lock and key situations (including remote key replacement that requires computer programming of the chip key). Security and safety are top priorities for our customers and for us! Car locksmith services are also included in the 24 hour locksmith service technicians provide. Are you experiencing a car lockout? Need an ignition key replacement? Even if you are having difficulties with your keyless lock, need an open trunk or unlock car service, San Diego locksmiths can come to your rescue. Do not leave lock picking to non-experts! Qualified automotive locksmiths will we come to you and handle your car lock and key needs with meticulous care. With advanced equipment, technicians can also perform transponder key programming on the spot, saving you time and money! Consider us your local emergency locksmith service provider. Trained San Diego locksmiths can provide immediate and professional lock picking, key cutting, key replacement, and more. Simple, but crucial tasks such as key duplication or having a master lock installed should only be trusted with experienced and certified locksmith technicians. Next time you need an all-purpose locksmith provider, call Green Locksmith San Diego for a free no-obligation quote! (619) 298-7911. Hold onto our phone number (619) 298-7911 as you never know when you’ll be in need of our services.